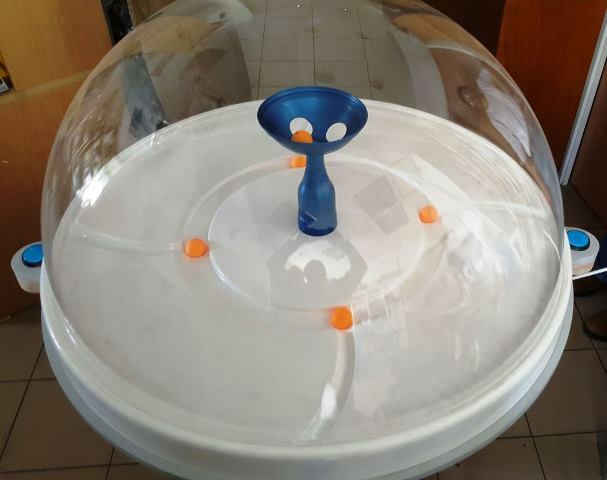 In Additionto customized devices, Milbat also develops special games and leisure products that encourage practicing cognitive, physical and social skills through participating in enjoyable, challenging activities combining music, games and sports. These products were developed by the Milbat multidisciplinary team consisting of occupational therapists, speech therapists, physiotherapists and volunteers specializing in a variety of fields, including design, engineering, electronics and more. Our products are used in many locations around the country: senior citizen clubs and day centers, rehabilitation departments, assisted living communities and many more. The professional teams in these places use these products as part of their everyday work – in therapy sessions, as part of occupational activities, leisure and social activities, music therapy, and more. They provide them with multiple treatment options, and increases the patients’ motivation and activity level. The Milbat team guides the local staffs on how to use the products, and how to incorporate them in the existing treatment programs, as well as providing technical support and special accessibility adaptations if needed, according to specific requirements. Thanks to donations raised by Milbat from private donors, businesses, charity foundations, and the National Insurance Institute’s nursing program fund, dozens of leisure treatment rooms featuring Milbat’s products and devices have been opened in rehabilitation centers, special education schools, and senior citizen day centers around the country. 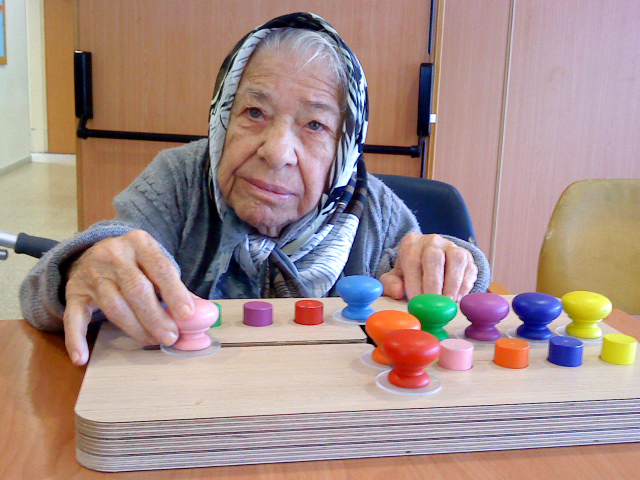 Organomedia is an interactive, fully accessible, computerized system designed to practice motor, social and cognitive skills throuth music and games. It allows the therapist to collect and process data on each user’s performance in order to asses it accurately. The system includes a variety of contents developed by occupational therapists and adapted for people with varying degrees of disability. It supports playing both music (by following special notes or freestyling) and games (a broad selection of puzzles, experiential games, and learning games). 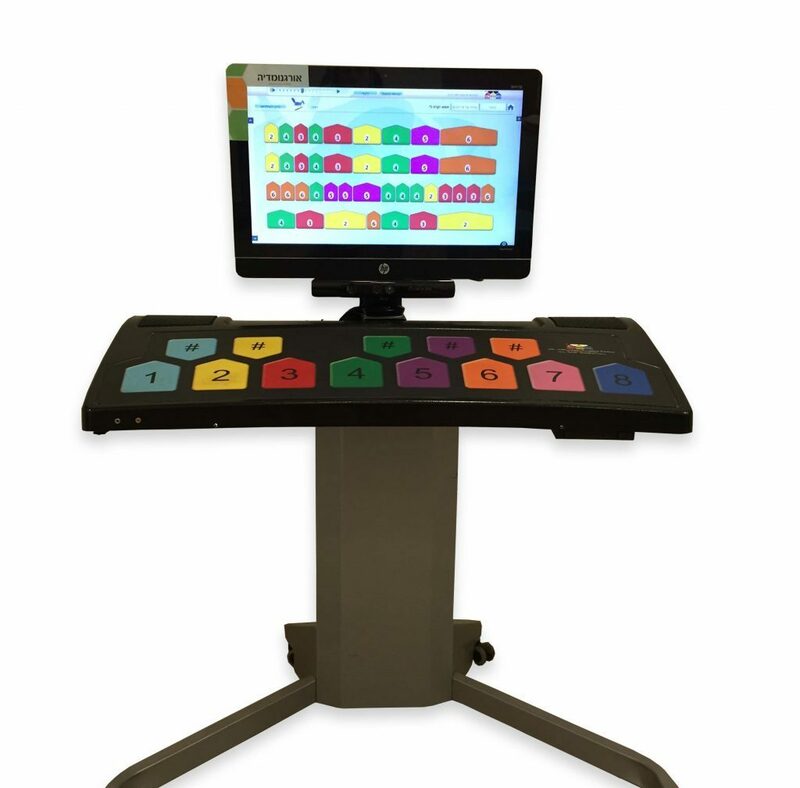 The system operates as a helpful accessory for music therapists, and permit the therapist a high degree of control on many variables, such as accessibility level, content, difficulty level, type of feedback and more. The system has already been installed in dozens of institutions and day centers around the country, and has received high acclaim. The Organomedia is a registered patent owned by Milbat, and was developed in cooperation with the Israel Innovation Authority. The exercise bike increases the patients’ motivation to perform physical exercise, and improve motor function in both upper and lower limbs. The product is a unique development of Milbat’s, and includes dedicated software (also developed by Milbat), a pair of desktop exercise bikes operated either by the legs of by the arms, a computer, and a 32” television screen. Stopping the pedalling motion will stop the video. The game is switch-operated and gives the feeling of throwing a basketball through a hoop. This is a competitive game for up to four players. The device includes a playing station and four switches, with each participant operating a single switch. Any type of switch is suitable. The owl game is designed for people of all ages who avoid physical contact, and for those seeking tactile stimulation. When the user squeezes the owl, it vibrates. In addition to being a pleasant tactile sensation, the vibration is calming and can sooth the user’s tension. There is also visual and auditory feedback using lights and sound while the owl is being squeezed. The owl may be operated by hands or feet and thus provides tactile stimulation to different body parts. The owls is a modular systems comprising 4 owls connected to a branch which can be hung from a wall. The use includes taking the owl off its branch and squeezing it. Each owl is designed to emit a different intensity of vibration, from very gentle to more intense. When the owls are on their branch, they are charged, so there is no need to change batteries. The unique design allows the system to be located anywhere and can fit in as a decorative element when not used. The owl system is a preliminary step toward learning to use voice activated systems and switches which allow communication and control over the user’s environment. The vibrating feedback strengthens the connection between tactile action and effect, which gives it an advantage over systems that focus only on auditory and visual feedback. Vibrating feedback can significantly shorten the time needed to learn to control switches. A game meant to improve cognitive and strategy skills as well as fine motor skills, Thinking Plus is a board game in which the player must move and arrange coloured handles according to the provided patterns. The activity can be varied by altering the order of the coloured pegs on the side of the board.